Thanks for the great review. I'm really looking forward to reading this, especially after your review. What an ending, yes! I was kind of predicting something along those lines but wasn't sure Kagawa would follow through. Very excited for book 3. 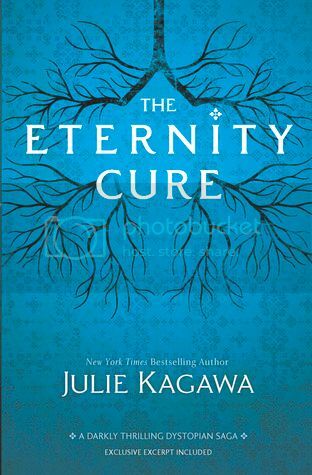 I really liked The Eternity Cure and was so interested in learning more about Red Lung and Vampire culture. Great read! LOVED THIS ONE!! (though I was kind of hoping that her human boyfriend wouldn't show back up. I want to focus on the vamps and their craziness! And that end! !